Conversations is a monthly, 30-minute television show in which I participate in an ongoing conversation about the Archdiocese of Louisville, my involvement with the larger Church (both nationally and globally), and issues of faith in general. In the third segment from our March 2019 episode, Chancellor Dr. Brian Reynolds and I present a new video series produced by the Archdiocese: The Catholic Mass: Work of the People. Conversations is a monthly, 30-minute television show in which I participate in an ongoing conversation about the Archdiocese of Louisville, my involvement with the larger Church (both nationally and globally), and issues of faith in general. 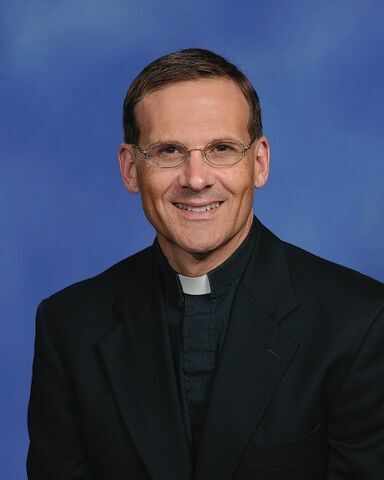 In the second segment from our March 2019 episode, I interview Father Wayne Jenkins, retired priest of the Archdiocese, about how the role of the pastor has evolved over the years.